Robert (Bobby) Lopez is a songwriter of musicals best known for co-creating The Book of Mormon and Avenue Q, and for penning the songs featured in the Disney Animation feature film Frozen. Jeff Marx is a composer and lyricist of musicals. 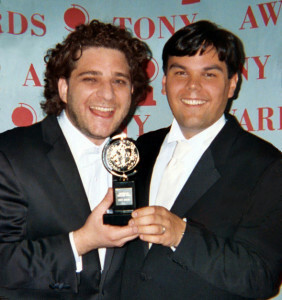 He is best known for creating the Broadway musical Avenue Q with collaborator Robert Lopez.